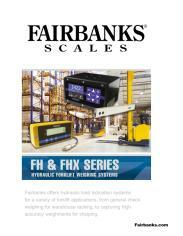 The FHX Series is a high accuracy weighing system for hydraulic forklifts and reach trucks. The system is most often used for check weighing, tare weighing, general weighing and with forklifts accessorized with a roll clamp or rotator. The FHX offers easy, cost-efficient installation and is compatible with hydraulic trucks that have capacities up to 20,000 lbs. 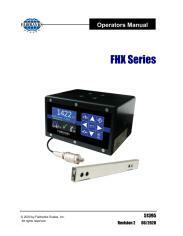 The Weighing Sensor is connected to the hydraulics on the forklift, as a load is raised and lowered the FHX Series Speed Sensors captures thousands of weight samples and calculates an extremely accurate (0.2%) average from all these weighments. 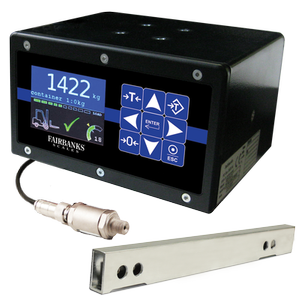 The weight is transmitted to the FHX instrument which displays the wight in either pounds or kilograms.